This page has been viewed 52 times this month, and 5155 times total. Animated Characters: Queen Tara, Ronin, Nod, Mary Katherine, Mandrake, Mub, Bufo, Bomba, Nim Galuu, Dagda, Larry. Alternate Titles: "Leafmen (Original Title)" and "The Legend of the Leaf Men." Previously titled "Leafmen," but changed to "Epic" in May 2012. Based on William Joyce's 1996 picture book The Leaf Men and the Brave Good Bugs. Estimated budget of $93 million. This film made $268 million in it's initial theatrical release. Do you have anything to add to this page? Have we made any mistakes... or do you have any additional information about Epic? If so, we would love to hear from you. Please send us a quick note with your additions or corrections to this page, and we will make the corrections as soon as possible! 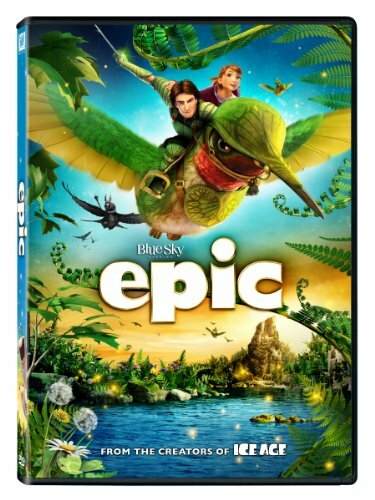 Do you love Epic, or do you think it is the worst cartoon ever? Let us know what you think! Surely you have an opinion... so share what you think. Take a minute and post your own comments about this cartoon here. 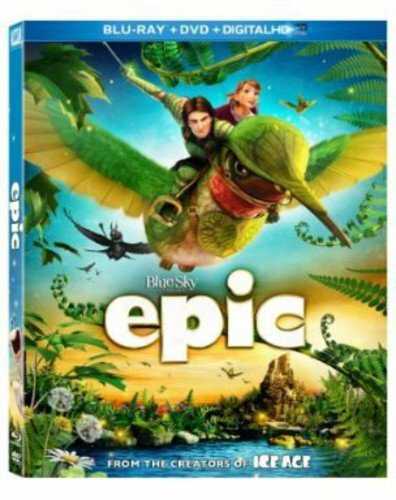 Epic by Big Cartoon DataBase is licensed under a Creative Commons Attribution-NonCommercial-ShareAlike 4.0 International License.